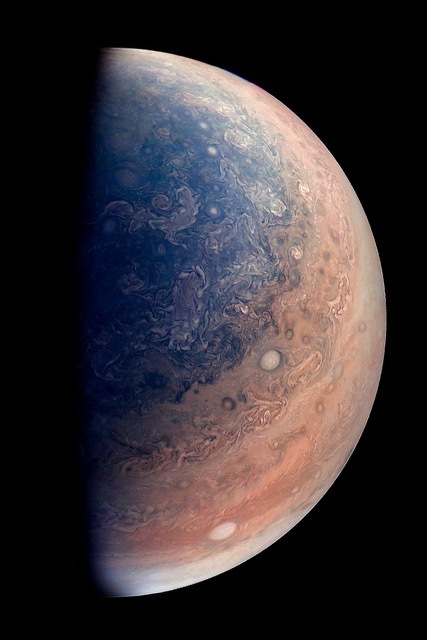 This enhanced color view of Jupiter’s south pole was created by citizen scientist Gabriel Fiset using data from the JunoCam instrument on NASA’s Juno spacecraft. Oval storms dot the cloudscape. Approaching the pole, the organized turbulence of Jupiter’s belts and zones transitions into clusters of unorganized filamentary structures, streams of air that resemble giant tangled strings.